An excerpt from Bernard D'Mello's book 'India after Naxalbari: Unfinished History'. 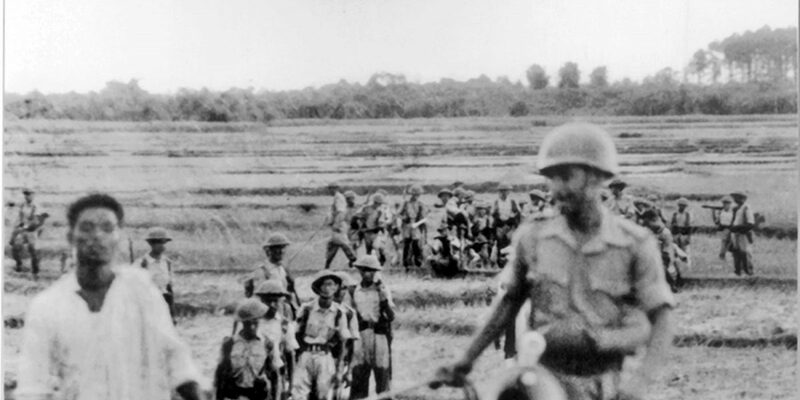 Although the 1967 armed peasant uprising in Naxalbari, at the foot of the Indian Himalayas, was brutally crushed, the insurgency gained new life elsewhere in India. In fact, this revolt has turned out to be the world’s longest-running “people’s war,” and Naxalbari has come to stand for the road to revolution in India. What has gone into the making of this protracted Maoist resistance? 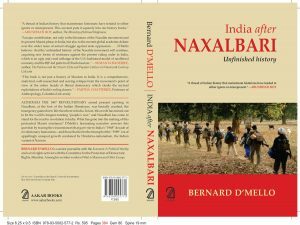 Bernard D’Mello’s narrative in his new book India after Naxalbari: Unfinished History (New York: Monthly Review Press; Delhi: Aakar Books) answers this question by tracing the circumstances that gave rise to India’s “1968” decade of revolutionary humanism and those that led to the triumph of the “1989” era of appallingly unequal growth condoned by Hindutva-nationalism, the Indian variant of Nazism. 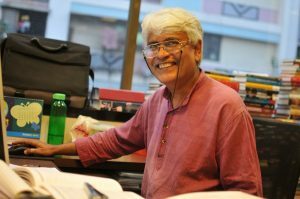 Earlier that year, in May, the militant Dalit protest organisation and movement, Dalit Panthers, was founded by Namdeo Dhasal and the poet/writer J.V. Pawar. Dhasal’s defense of Dhale led the latter to join the Panthers. The Dalit Panthers were inspired by the African-American Black Panther Party. The latter, founded in October 1966 in Oakland, California, played an important part in the black liberation struggle, this despite the dirty tactics of the US Federal Bureau of Investigation that did them in. Dhasal issued a Manifesto of the Dalit Panthers, which defined Dalits as (m)embers of scheduled castes and tribes, neo-Buddhists, the working people, the landless and poor peasants, women and all those who are being exploited politically, economically and in the name of religion … [and identified its friends as] (r)evolutionary parties set to break down the caste system and class rule. [These are] (l)eft parties that are left in the true sense. … [Well aware of the consequences, the Manifesto unambiguously states that] (t)he struggle for the emancipation of the dalits needs a complete revolution … [and as part of its programme, it is clear that] dalits must live, not outside the village in a separate settlement, but in the village itself. Left radicalism was in the political DNA of some of the young Dalit writers and poets, mixed as this was with anger and disgust at the opportunistic tactics of the mainstream Dalit politicians of the Republican Party of India (RPI), co-opted as they were by the Congress Party. The mainstream communist parties, the CPI and the CPM, seemed to have failed to sense the deep frustration of the Dalits, this most deeply socially oppressed section of Indian society. Indeed, liberal-political democracy in a country like India, without the abolition of the caste system, and thus without a polity of equal citizens in a “fraternity” (comradeship) of the people, has been rotten. The bitterness and resentment that the “semi-feudal” caste order aroused in its inflamed victims found expression in the militant protests of tens of thousands of volatile Dalits, a potential reservoir for radical change. The Panthers’ successful call for the boycott of a by-election to the Lok Sabha (the lower house of Parliament) from the constituency of Central Bombay in January 1974 unnerved the political establishment. The RPI leadership, on its part, resolved to crush the Panthers wherever they were, its task made easier by the Congress government-directed police force that mercilessly suppressed militant Panther protest with brute force. The harsh, yet candid, social realism of Namdeo Dhasal’s poems, in unembellished form, are an expression of the feelings of this most oppressed and downtrodden section of Indian society. Here is an excerpt. He howls and barks from time to time. This is his constitutional right. He lives on stale crumbs. His mind is calloused with enduring injustice. – Namdeo Dhasal, Excerpt from “Song of the Republic and the Dog,” translated by Vidya Dixit, Gail Omvedt, Jayant Karve, Eleanor Zelliot and Bharat Patankar. Article 17 of the Indian constitution states: “Untouchability is abolished and its practice in any form is forbidden. The enforcement of any disability arising out of Untouchability shall be an offence punishable in accordance with law.” The intent of Dr. B.R. Ambedkar, who was the chairperson of the drafting committee of the constitution, which came into effect on January 26, 1950, was to put an end to Untouchability, but the Establishment’s cultivated amnesia about this proviso brushed aside his “liberty, equality, fraternity” ideals. Potable water from the common wells in villages has been denied to the former Untouchables; restaurants refuse to serve them food in the cutlery meant for everyone else; they have been denied entry into temples; their representatives, if any, in the village panchayats have been made to sit separately from the rest; largely, Scheduled Caste households have been made to live outside the boundaries of the village proper, in separate settlements; indeed, even in Mumbai, the country’s most bourgeois metropolitan city, there have been separate Scheduled Caste residential pockets, Maharwadas, Mangwadas and Golpithas. Moreover, Scheduled Caste children were discriminated against in the schools; and bonded and other forms of forced labor have continued to prevail. In 1969, the Elayaperumal Committee Report testified to these and other discriminatory caste-Hindu practices, but even the Prime Minister, Mrs. Gandhi, who swore by the Nehruvian “socialistic pattern of society,” ignored its findings, and the report gathered dust in filing cabinets. And worse, in Kilvenmani, a village in Thanjavur district of Tamil Nadu, 44 Dalits – men, women, some with infants, and children – were forcibly herded into a hut and burned to death by hired hoodlums of the landlords on the night of December 24, 1968 because they had struck work for higher wages. The memory of it, the inhumanity, the cruelty, moves one to tears. The Panthers came on the Maharashtrian scene with great force and promise, but then, in the face of severe repression and disputes over the uneasy marriage of the ideas of Ambedkar and Marx, split into factions, two in 1974 itself, barely surviving, with one foot in the grave. Far off, in the state of Bihar, the Naxalite movement had forced the state’s politicians to reconsider agrarian reforms, but the upper-caste landlords, riding high in the aftermath of the crushing of that movement, were in no mood to cede ground to the downtrodden. State propaganda that grossly exaggerated the achievements of Mrs. Gandhi’s 20-point programme during the Emergency had, however, created a stir among the underdogs, enhancing expectations of debt redemption, occupancy rights of sharecroppers, and higher wages for landless laborers in rural Bihar. Moreover, the Naxalite movement, crushed though it was by then, had emboldened the oppressed. This brought on landlord retaliation in the aftermath of the Emergency and the coming of the Janata Party to power in the March 1977 general elections. Perceiving the Congress Party to have failed them, the landlords, who generally managed the “vote banks,” had switched sides. A spate of atrocities against Scheduled Caste and Other Backward Class (that is, backward caste) landless labourers and poor peasants followed, the socio-economic identity of the victims confirming the Panthers’ inclusive characterisation of the oppressed and the downtrodden as Dalits, including women. 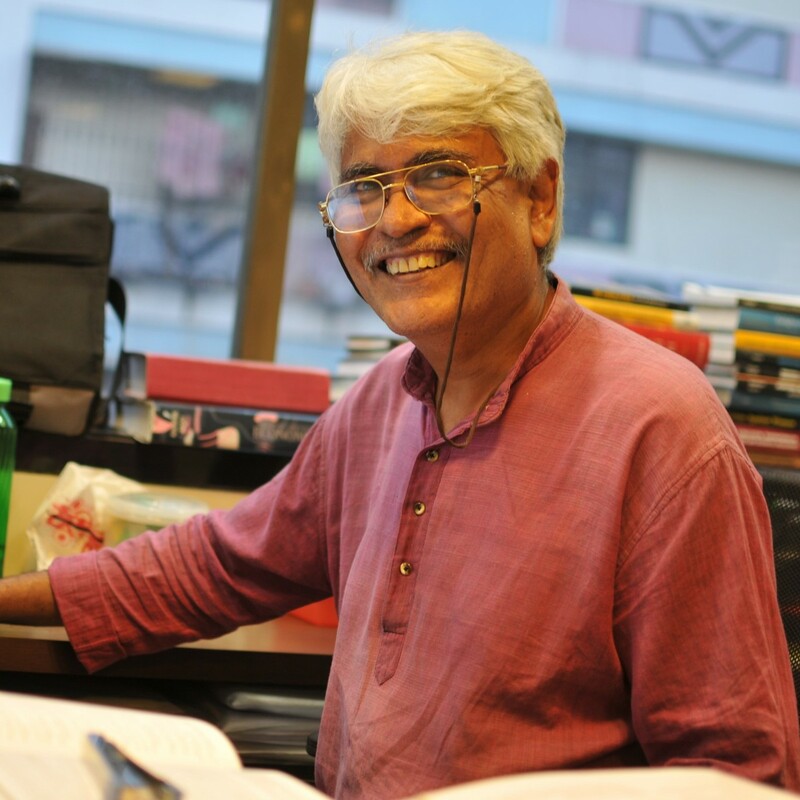 Bernard D’Mello is a senior journalist with Economic & Political Weekly and a civil rights activist with the Committee for the Protection of Democratic Rights, Mumbai. Among his written works is What is Maoism and Other Essays.